My name’s Fletcher Vredenburgh and I blog and yammer on the Internet (and comment here on Black Gate) as the Wasp. When Dale Rippke’s super-informational swords & sorcery site Heroes of Dark Fantasy went dark, I wanted to create a site to fill that void, but I wasn’t sure what shape it would take. Initially, Swords & Sorcery: A Blog was going to be dedicated solely to classic heroic fiction. I figured I would just re-read and write about the books I already knew and loved, like Death Angel’s Shadow or Stormbringer, and that would be enough. Then I discovered I was living in the midst of a S&S revival. Spurred by magazines like Black Gate and fueled by authors like James Enge and Howard Andrew Jones, new stories at least as good as anything from the genre’s heyday in the seventies were being created. That led me on a hunt for anything new in S&S. I quickly learned that for every Enge or Jones, there were a dozen writers regularly gracing the electronic pages of numerous online magazines. 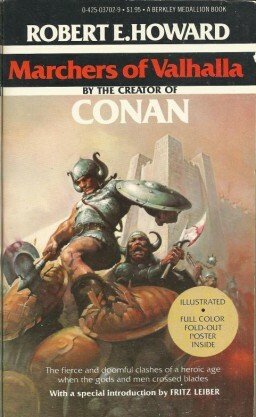 For what I now wanted, which was to get a sense of what was going on down on the ground and then convey that to any readers I might have, the standout publications were Heroic Fantasy Quarterly, edited by Adrian Simmons, David Farney, and William Ledbetter and Beneath Ceaseless Skies, edited and published by Scott H. Andrews. For over a year now I have continually struck genre gold in both magazines. Over the past year of reviewing, I’ve read thirty stories from HFQ and BCS. Re-reading my reviews, I was struck both by how many of the stories I liked, and how many I recalled in detail. In fact, there was only one story I actively disliked. There was straight up no-holds-barred swords & sorcery, techno-fantasy, some chinoiserie, and an Arthurian tale thrown in for good measure. I went out looking for heroic fantasy, and was rewarded instead with an antidote for all the monstrously long and never-ending series weighing down Barnes & Noble’s shelves. What I found were writers creating exciting and vivid worlds and characters that would come to an end before my remaining hair turned white. All the stories I read served as reminders that neither scale nor originality require a thousand pages. 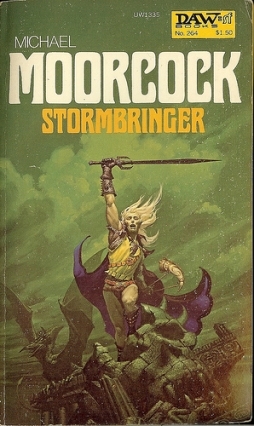 I really like Steve Erikson’s Malazan series, but its first two volumes are longer than the entire original six-book run (five of which are short story collections) of Fritz Leiber’s Lankhmar books. The most striking images of my mental sci-fi and fantasy landscape are drawn from short stories. 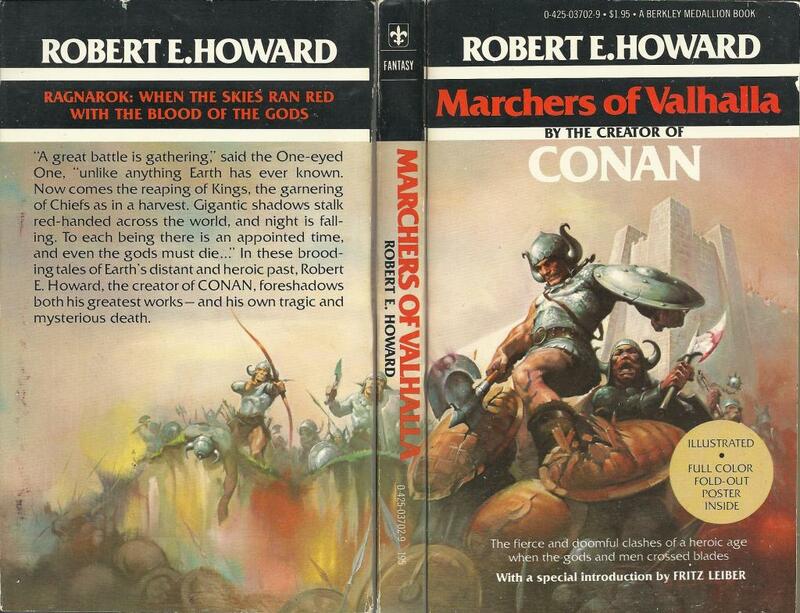 As much as I love The Lord of the Rings, its influence on that landscape is vastly overshadowed by Robert E. Howard’s “Marchers of Valhalla” and Clark Ashton Smith’s “The Charnel God.” Perhaps it’s because a great short story tends to focus on a single, vivid event or emotion and then polishes it to diamond-bright intensity. Poring over my reviews, I found that one of the strongest stories I read was the second one I reviewed. In Cory Skerry’s “Sinking Among the Lilies” (BCS #92) a monster-hunter named Imuri Bane comes to the fishing village of Keyward in hopes of making some easy money at his trade. I love the world Skerry’s created, his hero and the complex situations of the story. I wrote that the story’s a “brutal examination of exploitation and the obligation to become involved in the muck of life and cherish the scars that that can cause” and I stand by those words today. Mike Allen’s “The Ivy-Smothered Palisade” (BCS #93) is presented as a letter written by a woman named Daeliya. In it, she tells her companion Eyan why she’s disappeared and why he should never seek her out. Daeliya reveals that as a child she was sent to an orphanage following her parents’ execution. From there she escaped to an old estate filled with all manner of mystery and strangeness. That strangeness has followed her to the present and brought about her current circumstances. The story seems grown from the same lush decay that nurtured Brian McNaughton’s Throne of Bones and many of Clark Ashton Smith’s tales. HFQ # 12 introduced me to Seamus Bayne and his story “Crown of Sorrows.” A mercenary is forced into the service of an evil wizard-king straight out of central casting. From that small, stock opening, Bayne created a perfect miniature epic. While it ends satisfyingly, it’s also left open to expansion. In HFQ #13, Bayne did just that with “Dance Upon Sand.” It reverses the trajectory of the first story, starting with war and a tremendous sense of scale and concluding with the actions of a single man standing alone. and its sequel “Death and Dignity” (HFQ #14) by Michael R. Fletcher. The stories’ protagonist is the demonologist-general, Khraen, reluctantly raised from the dead to serve in a necromancer’s army of conquest. With only twelve thousand words, Fletcher creates a world of exquisite detail. My favorite thing is the wide array of magic filling the stories: “the Demonologists — under the leadership of Palaq Taq’s Emperor — had subjugated the lesser magics. The Wizards with their filthy chaos-magic cowered in the far north where they’d fled after the Emperor’s purging wars. Elementalists and Sorcerers, understanding the true balance of power, knew their place while Shamans were left to babble at their demented tribal spirits. Necromancers had been but unknown.” I was extremely happy to learn that Fletcher is considering writing more of Khraen’s postmortem adventures. HFQ may focus on heroic fantasy, but doesn’t limit itself to that subgenre and BCS is all along the speculative fiction spectrum. I may have started out seeking swords & sorcery but some of the most striking stories, the ones that have stayed with me the longest, are distinctly not S&S. “Virtue’s Ghosts” (BCS #100) is Amanda M. Olson’s first published story. In it, everyone receives a pendant at adolescence that bestows a power, or virtue, that serves to counter his or her greatest weakness. It’s narrated by a young woman as she observes her aunt, once a talented singer but then given the virtue of silence. The narrator is almost convinced her aunt’s a ghost, and there is indeed a haunted pall hanging over the story. Noblewoman Ivette du Brielle is the alter ego of Leslianne Wilder’s swashbuckling adventuress “The Crimson Kestrel” (BCS #114). She climbs and thieves her way up and down the great tiered city of L’Echelle. Among the obstacles she faces are other thieves, spies, aged nobles and robot spiders (ROBOT SPIDERS!). Set in a very ancient regime-style world, this might be the most fun story of all those I reviewed. I am pretty jazzed that Wilder promises evil puppets in the next Kestrel adventure. Finally, the Spring 2013 issue of HFQ has “The Lion and the Thorn Tree” by J.S. Bangs. Bangs’s story unfolds in an African-inspired world somewhere to the left of reality. A ghostly lion stalks a pregnant woman fleeing the forces of the sorcerer who has conquered her homeland and killed her husband. I feel very confident recommending these nine stories as jumping on points for HFQ and BCS. They’re all written by authors I look forward to reading more from. However, I haven’t read every single issue. That means there might be even better stories waiting for you to discover in their archives. I can’t praise these magazines enough. For free, every issue, they bring good stories right to my desktop. They may get rated as only semi-pro publications, but I can think of a couple of recent professional anthologies that don’t have any stories that come close to the best I’ve read in HFQ or BCS over the past year. When I started reviewing HFQ and BCS, I hoped to learn more about the new heroic fiction being written, the present direction of swords & sorcery and bring that information back to my readers. I did that, encountering tons of artists creating fantasy almost in opposition to the mega-series dominating the field nowadays. I’ve gotten comments from readers thanking me for directing them to both magazines. I’m happy to have found a community of artists, critics, and fans creating and supporting swords & sorcery. Modern fantasy’s roots are deeply planted in short stories and I’m glad to help promote all those writers and magazines working in a medium I love dearly. And there’s more out there: more magazines, more writers. I link to a raft of them on my blog. Some may not be as slick as HFQ or BCS. Others definitely don’t have the same level of story quality. All, though, are publishing new works and widening the readership of fantastic fiction. If you can think of any magazines I don’t link to, please don’t hesitate to drop me a line so I can get them up there. I’ve read most of the stories you mention here, and I agree with your assessments. These are top notch tales mare than capable of holding their own in comparison to things published in some of the so-called pro markets. While HFQ and BCS may not be considered pro markets, they are the two of the places I go to first to read S&S. I’ve gotten behind on my reading of them and need to catch up, which I’m hoping to do over the next month. Thank, you, Jason and Keith. Finding these e-zines last year (with some direction from you, Keith) was a great day as a fan. Not to sound too pompous, but these mags and others are carrying a flame that was lit around campfires long ago and came down the years, straight to REH and all his children. Great to see you posting over here, Fletcher. And HFQ and BCS are prob the number one reasons i want to get a tablet at this point, so much to catch up on…. We work hard behind the scenes at HFQ to find good works and it is always nice to hear that we seem to be succeeding!